Swype hasn't been in the news much recently, and the gesture keyboard space has been dominated by news about Google adding it to Android 4.2 and SwiftKey's new Flow beta, but today Swype announced an update that keeps it as a serious competitor in the alternative keyboard market. The big announcement today was that Swype beta has been updated with an opt-in feature, which will allow you to contribute to, and get suggestions from a crowd-sourced autocorrect database, called Living Language. The new Living Language dictionary will learn in real-time by crowd-sourcing new words and phrases, which will then appear as suggestions while you are typing. The suggestions will show words and phrases that are trending with other Swype users. We expect this to be a quite valuable addition, but of course, we would be remiss if we didn't remind people that this could be the target of a type of "Google bomb" or in this case "Swype bomb", wherein a group of users could start typing a certain word or phrase to see if they can game the suggestion algorithm. We will obviously let you know if we hear of anything like that. The new update to Swype also includes the Smart Editor, which will scan full sentences for potential errors. The details on this are thin, and just say that it will suggest fixes based on context, and doesn't mention if grammar will be taken into account. If you want the update, head to the source. BURLINGTON, Mass. & LAS VEGAS–(BUSINESS WIRE)–Nuance Communications Inc. (NASDAQ: NUAN) today announced a further evolution of intuitive and intelligent keyboards with the launch of Swype Living Language. An evolution of the Hotwords technology announced in September, Swype Living Language uses crowdsourcing to analyze new words and phrases in real-time, continuously updating our language dictionaries. The Swype keyboard has undergone a rapid transformation in the last year. In addition to integrating the power of Dragon voice recognition, Swype has also been augmented by integrating with personalized, intelligent dictionaries that learn and adapt to the words and phrases that people use most. Now, Swype Living Language allows people who opt-in to share and receive trending words and phrases in real-time, creating an up-to-date, crowd-sourced language model. The result is a predictive input experience that is incredibly simple and fast, with relevant, trending words and phrases supported as you swype, write, speak or tap. Swype has also expanded dictation capabilities and now supports Dragon Dictation in a dozen new languages including Catalan, Croatian, Czech, Greek, Hebrew, Malay, Romanian, Slovak, Turkish, Thai, Vietnamese, and Ukrainian. 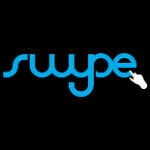 Download the Swype Beta for Android to any Android device including those with Swype preloaded, by simply visiting http://beta.swype.com. Nuance’s Swype Living Language keyboard is compatible with the Swype Platform which is available for OEMs supporting the Android Platform as well as via an SDK for other operating systems. Swype is a part of Nuance’s portfolio of voice, touch and natural language understanding innovations that are defining a new generation of intelligent systems and personal assistant technologies, which include Dragon NaturallySpeaking, Dragon Dictate for Mac, Dragon Assistant for Intel-inspired Ultrabooks, Dragon Dictation, Dragon Go!, Dragon Mobile Assistant, Dragon Drive, Dragon TV, Dragon ID, and Dragon Voicemail to Text. With Nuance technology, people experience more humanized interactions with the world’s best phones, tablets, computers, cars, TVs, apps and services from leading manufacturers and operators. To learn more visit www.nuancemobilelife.com. Once you learn to swype, you'll love it... And I taught my phone slang, cos i was in a gang. Great. Crowd-sourced misspellings. I'm a fan of Swype, even with its shortcomings, but this won't improve accuracy. Thankfully, this is an opt-in feature.